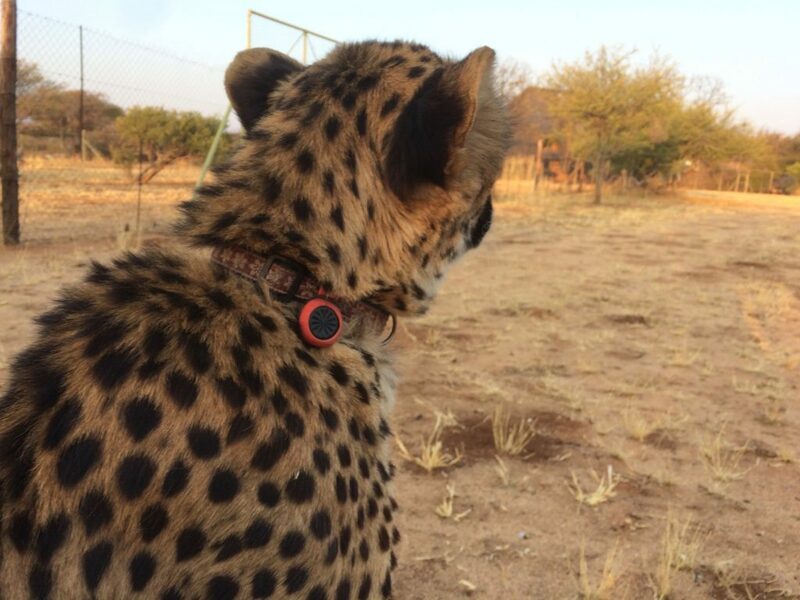 This endangered cheetah is wearing a Fullpower AI-pod for research purposes. The pod and its associated infrastructure are an AI-powered sensor-fusion edge cloud solution that learns about the Cheetah’s behavior. The AI-pod is small, waterproof, and rugged. We are in the process of learning a lot about cheetah behavior. For example: “When do Cheetahs really sleep?” or “When to Cheetahs really hunt?” This picture was taken at the Cheetah Conservation Fund based out of Namibia.